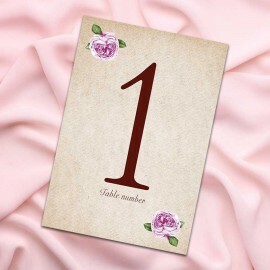 Held in sepia tone to make the board it is produced on look aged. 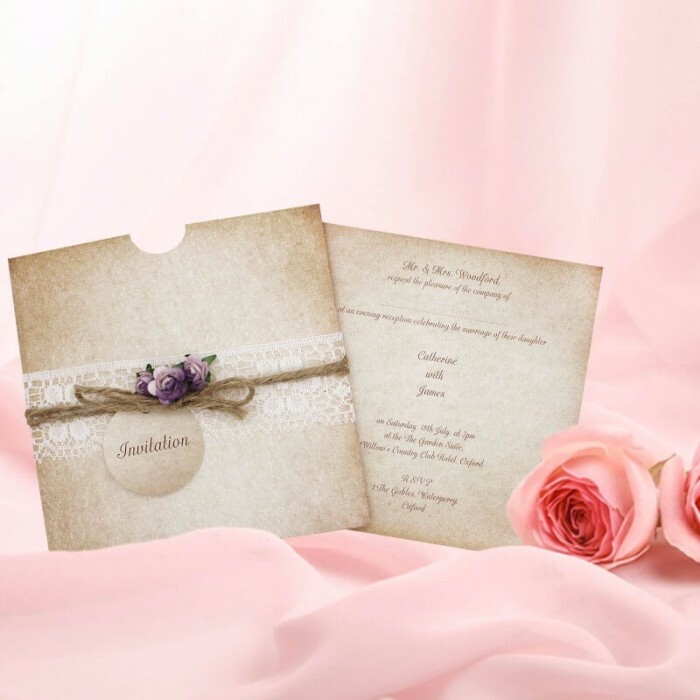 This square slip wallet wedding invitation is embellished with a lace band, a small purple paper rose and luggage tag with the word ‘Invitation’ printed to the centre, tied together with jute twine. 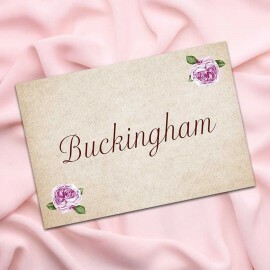 Inside you will find three loose inserts with your personalised wedding invitation wording, guest information card, which can be used to provide a range of information. 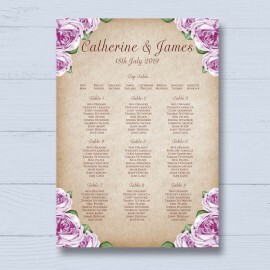 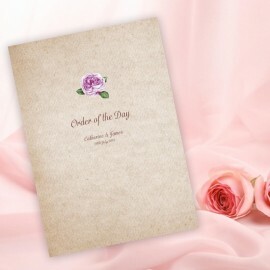 Many couples choose this card to give directions, information for hotels, or to include a lovely poem for a wedding wishing well or to direct guests to where they can find gift lists,) and RSVP card, which are all also printed on sepia board. Your three inserts can be personalised online by clicking the ‘Personalise’ button below. 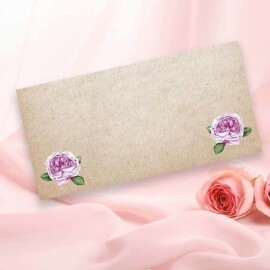 These lovely Rosebud vintage wedding invitations come with complementary envelopes. 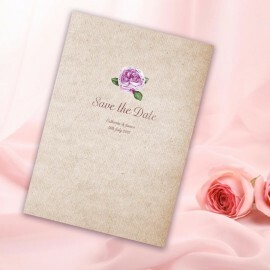 Click here to view the Rosebud evening invitations.